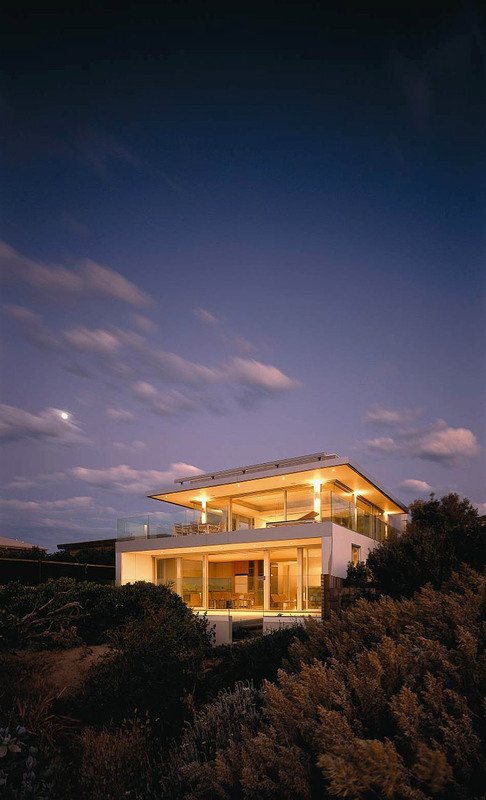 The stunning waterfront views were the driving force for the design of this beach house. The house is comprised of two rectangular intersecting boxes, which provide two living areas enabling the owners to enjoy their own space, while also entertaining and hosting visitors. The vertical rectangle grounds the building to the site, while the horizontal rectangle forms the lower level. The design of the entire house is deliberately minimal in order to let the scenic surroundings share the limelight. 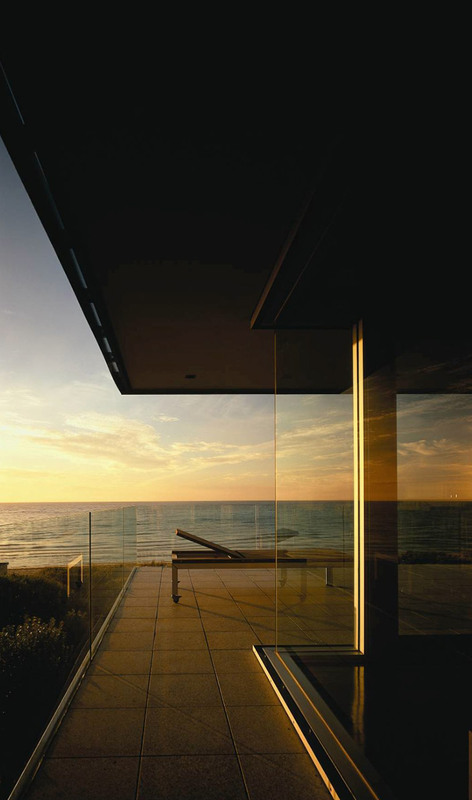 The dominance of the horizon of the Bay, influence the application of the horizontal in the design of this compact residence.